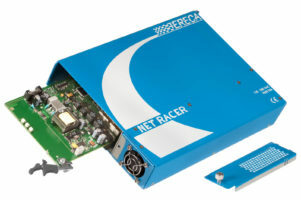 Compact receiver enclosure for Net E/R or Topas R modules. The NET RACER COMPACT is a stand alone for boards which fit the 19″ 3U NET RACER rack (16 slots). The NET RACER COMPACT is the solution for small transmission architecture and mobile installations. 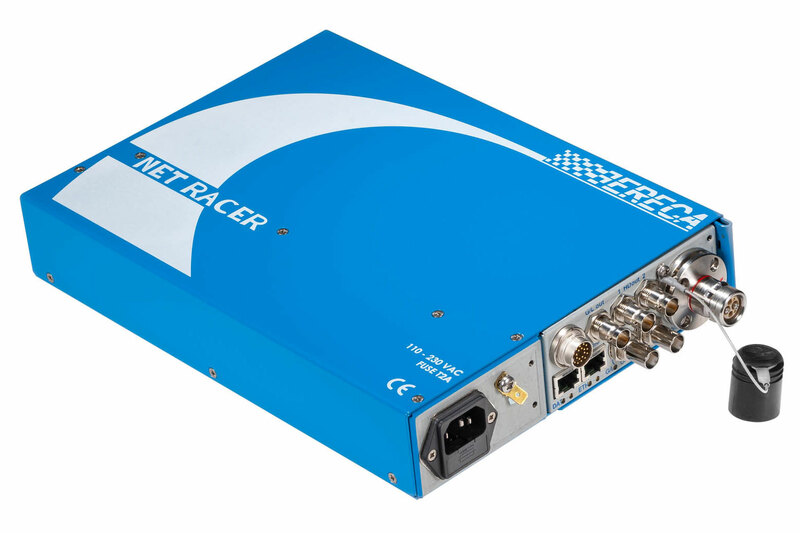 The high power embedded PSU enables usage of optical receiver board with hybrid cable remote camera and transmitter powering. The cooling is assumed by a single thermally controlled fan, the air flow passes trough the power supply section then onto the user boards thus allowing a very efficient cooling scheme for a standalone enclosure. 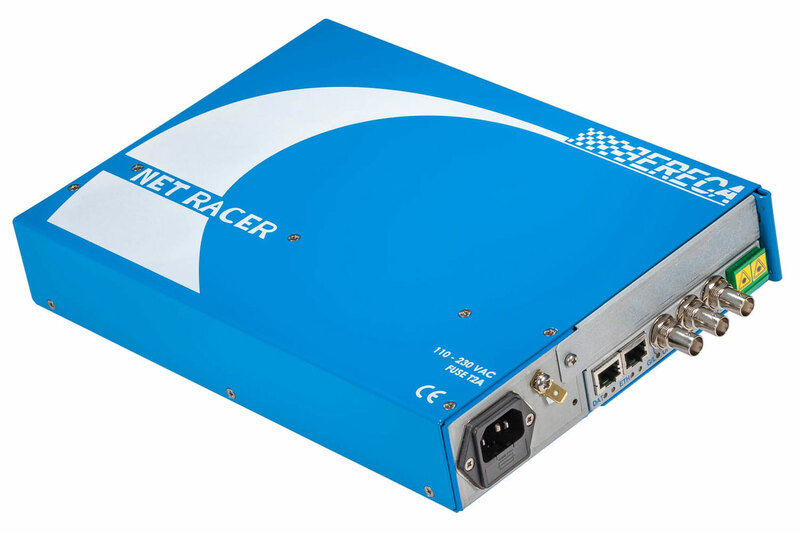 The compact size allows installing 2 NET RACER C onto a 19’’ width mounting plate, two M4 thread are provided at the cabinet bottom to allow easy screwing. For wall mounting, 2 special apertures located at cabinet bottom allow easy vertical installation by sliding the unit onto 2 wall screws. Note: There is no management unit allowing board setup. User boards with setup also have hardware controls that automatically override software settings for Net racer C operation. Fuses 2*2 A slow blow located on power socket. Storage T°C: -10 to +70°C.